CHICAGO -- A yearlong study offers rigorous new evidence against using prescription opioids for chronic pain. In patients with stubborn back aches or hip or knee arthritis, opioids worked no better than over-the-counter drugs or other nonopioids at reducing problems with walking or sleeping. And they provided slightly less pain relief. 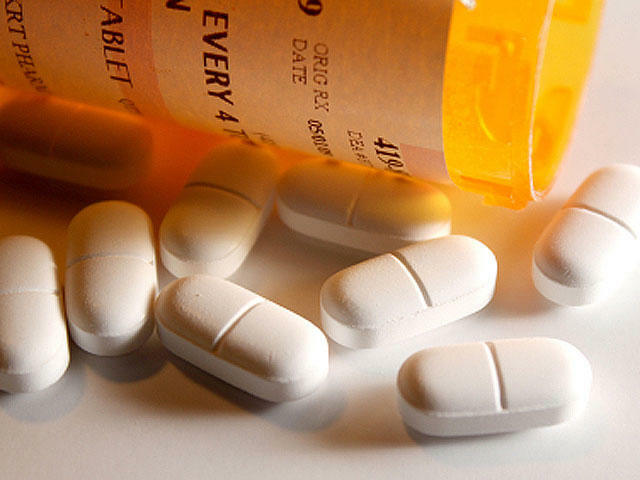 If they don't work better than less risky drugs, there's no reason to use opioids given "their really nasty side effects -- death and addiction," said lead author Dr. Erin Krebs, a physician and researcher with the Minneapolis Veterans Affairs Health Care System. The study came out on the same day that the U.S. Centers for Disease Control (CDC) reported more troubling news about the scale of the current opioid epidemic. According to the CDC study, which examined data from 16 states, hospital emergency department visits for suspected opioid overdoses jumped 30 percent from July 2016 through September 2017. Some states saw increases of 70 or 80 percent or even more. In a press briefing on Tuesday, CDC Acting Director Anne Schuchat, M.D., said the U.S. is seeing the highest drug overdose death rate ever recorded in the country. The pain reduction study was published Tuesday in the Journal of the American Medical Association. Its findings echo the results of previous, less rigorous studies, providing more evidence to bolster guidelines against routine use of opioids for chronic pain. "I think people need to be aware that if they're given an option for opioids, they should ask to try non-opioid options. It should be used in the lowest dose for the least amount of time possible, and that according to this study it was really not as effective," CBS News medical contributor Dr. Tara Narula said on "CBS This Morning" Wednesday. "Doctors are more aware now," Narula said, "and they are being more conscious about not prescribing." She added that patients also need to be aware of the risks and not seek prescription painkillers when other options are available. "A lot of this is education for patients, for families," she said. He noted one limitation -- most study participants were men, but Krebs said the results in women studied were similar.